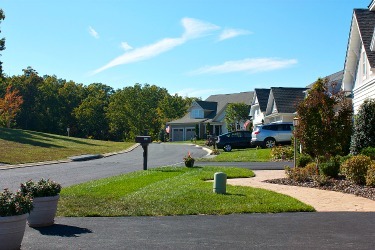 Trilogy Lake Frederick is an interesting community by Shea Homes in the foothills of the Blue Ridge Mountains. 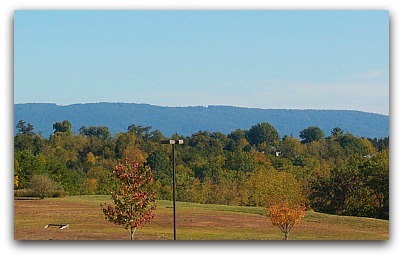 If you live in the Washington, DC area you probably have taken the one hour or more drive to this area known as Shenandoah Valley. The Skyline Drive, 105 miles of scenic beauty, running north and south along the Blue Ridge is a popular visitor's attraction. Most people visit here in Fall when the leaves turn color. 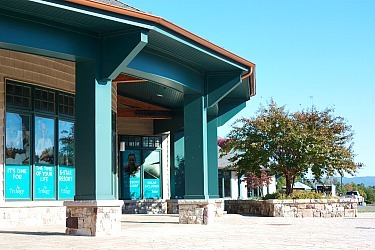 One of the entrances to Shenandoah's Skyline Drive is from nearby Front Royal where Shea Homes has just begun their community Trilogy Lake Frederick in Virginia. 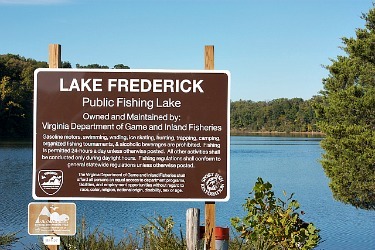 Lake Frederick is a 117-acre man-made lake owned by the Virginia Dept. of Game and Inland Fisheries. 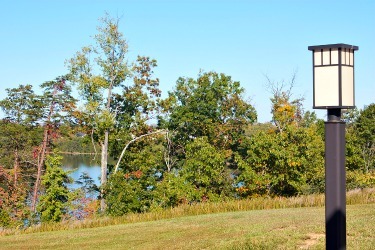 You can actually see peeks of it from the clubhouse and from some homes at Trilogy Lake Frederick. You can also use the lake and a public boat launch which is easily accessed from the Shea development. When we visited on a Saturday, the boat launch had a dozen cars laden with canoes and kayaks or pulling electric-motorized motor boats, which are the only types allowed. You can also fish here. I guess you can call this a mountain lake. It certainly looked like one since the water looked clean and that day was a bright crystal blue color. 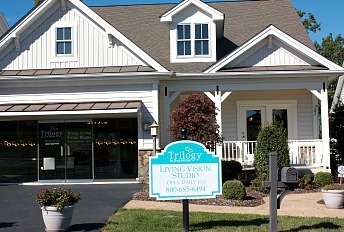 There is no storage for boats at Trilogy but you can keep your boat in your garage. We arrived rather late in the day, around 3:30 PM. With GPS the visitor center was easy to find. I went in and a very friendly representative greeted me with a big smile. He wasn't a Realtor. He was there to give us an overview. If we had questions he wasn't able to handle then we were referred to the Realtors. There were 2 on site. The first thing he did was get me to sign in to the Guest Book. He was very pleasant so I didn't mind doing this. However, when visiting you need to say that you are represented already by another Realtor if you have your own Realtor, otherwise they will not be protected for their commission should you buy. I was given a good overview. He showed no impatience or hurry to close up even though it was near that time. He offered us refreshments as well. After the long 2-hour trip the water and soda was especially welcomed. The first thing I noticed wasn't the few homes scattered around or how quiet and peaceful it was, but how blue the sky was. The air was so much fresher, too, with city pollutants just a foggy dream. This may be what most people come for. After our overview, we walked around, brochure in hand, to see the clubhouse, outdoor pool and lake views. Suddenly a fragrance of smoky pork wafted through the air. Someone was outdoors barbecuing pork for a party later on! Somehow the odor of food cooking was sweeter and more delicious than in a suburban backyard. All my senses were keener. There was a huge Fitness Center with exercise equipment, rustic but elegant clubhouse furnishings, and a large outdoor pool with a backdrop of the mountains. There is a huge patio between the two clubhouses with a peek of Lake Frederick through the trees. Before Shea Homes came here, the development was owned and started by someone else, went bankrupt in the downturn, and was bought out by Lansdowne Development Group. 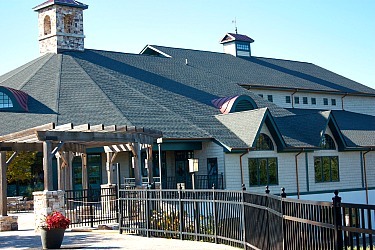 The project around Lake Frederick, started seven years ago, had other builders. (This is why there is already a built clubhouse and social and recreational facilities.) Some of the previous builders were Centex, Beazer and Winchester Homes, all builders of the highest quality and prestige. You can see these existing homes. These were not over 55 homes. Shea, the current builder, is the only builder for over 55. They opened approximately June 2014. 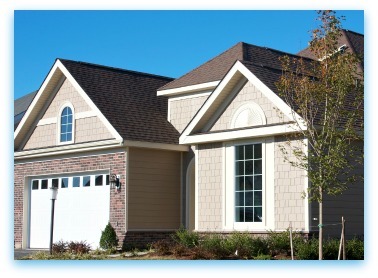 *UPDATE: The community now has models for you to view, 14 floorplans and 4 collections. As mentioned, there already are social activities, clubs and organizations formed. Some of these are cooking club and desserts club. Bunco, a game, is especially popular. In addition to the indoor and outdoor pools and Fitness Center, there is planned to have two tennis courts, pickle ball and bocce ball courts. There are several golf courses in the nearby area at Front Royal and Winchester. Medium to very large starting low $600's. (verify as prices can change without notice). 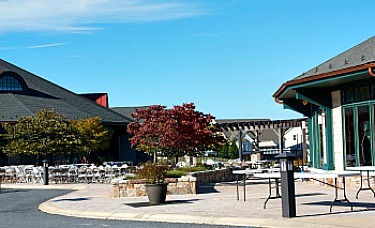 Dozens of quality and casual dining restaurants in the area.